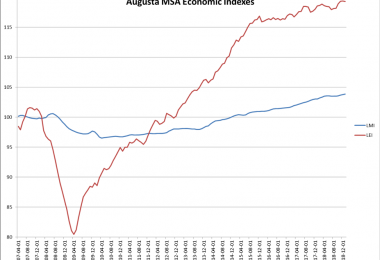 The Leading Economic Indicator (LEI) for the Augusta Metropolitan Statistical Area (MSA) decreased 0.3% in the second quarter of 2018. It is still up 0.4 % from June 2017. The components that saw declines were housing permits and real deposits in local banks. Initial claims for unemployment insurance increased. 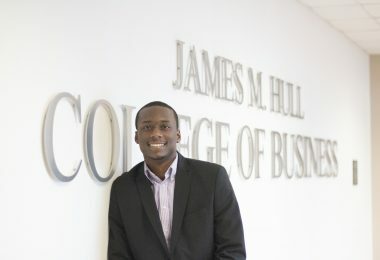 The Dow Jones Industrial Average increased 0.7% from the end of the first quarter as did job openings. However, the Bureau of Labor Statistics has discovered errors in some of the Federal government data so these figures will be revised in the future. 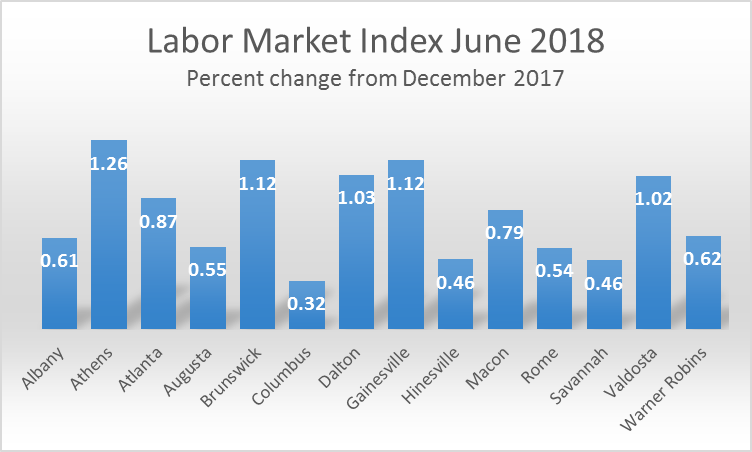 The Labor Market Index for the Augusta MSA increased 0.55% in the first 6 months of the year. This represents a slowdown from 1.54% growth seen since June 2017. 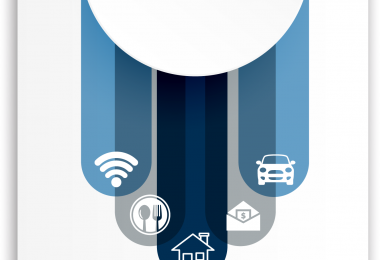 There are several underlying causes of this slowdown. First, employment in the second quarter saw no growth, remaining at 242,500 jobs. Second, although the unemployment rate has fallen to 4%, some of this is due to a decline in those looking for work. Third, those in work are working fewer hours than six months ago and therefore average weekly earnings are at their lowest level since 2013. 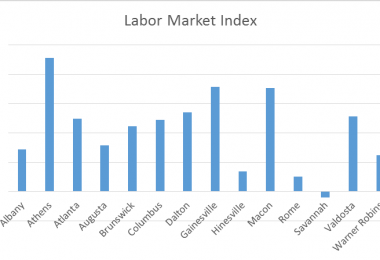 Across the state robust labor market growth was seen in Athens, Brunswick, Dalton, Gainesville, and Valdosta in the first six months of the year. Columbus, Hinesville, Rome and Savannah fared worse than Augusta. 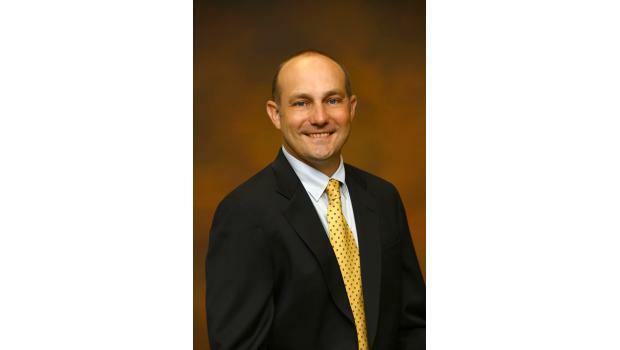 Athens has created 3,000 new jobs this year and seen a fall in the unemployment rate to 3.5%. Brunswick has an unemployment rate of 3.7% and seen an increase in average weekly earnings and hours worked. Gainesville continues to create new jobs and has the state’s lowest unemployment rate of just 3.1%. Dalton has witnessed an increase in employment and average weekly earnings.